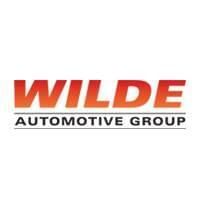 The Wilde Automotive Group always carries several Used Toyota Camrys at all of our dealerships. We price our used Toyota Camry below market price, and we consistently adjust our prices to be below any other dealership in the area! Serving the greater Milwaukee and Madison, WI area for over 70 years, we are committed to our community and providing exceptional customer service. If you don’t see a vehicle on this page that is absolutely perfect, feel free to call any of our dealerships here, as we receive new inventory daily! Wilde East Towne Honda 5555 High Crossing Blvd. Wilde East Towne Honda Spring Sales Event! 2015 Toyota Camry LE Clean CARFAX. Bluetooth, Backup Camera, USB/AUX Input, USB port, Cruise Control, Almond w/Fabric Seat Trim. 25/35 City/Highway MPG Awards: * 2015 KBB.com 10 Best Sedans Under $25,000 * 2015 KBB.com 15 Best Family Cars Stop out to Wilde East Towne Honda to experience a higher level of customer service. Exceptional care that has helped us earn Honda&#39;s highest level of achievement, the Honda President’s Award. We have won this honor each year since opening. Our customer&#39;s survey and reviews helped us be recognized as the Wisconsin DealerRater.com Dealer of the Year. Also achieved consistently since 2014! Our family friendly staff look forward to serving all your automotive needs. You&#39;ll appreciate the fair prices and great service. Your family will love free popcorn at the Power Bar and finding the Star Fish in the huge aquarium. Located on Madison’s East Side, we are just 2 miles South of Sun Prairie off Hwy 151/90/94. Some vehicles may be subject to manufacturer safety recalls that, for various reasons, may not be repaired prior to sale. You may also check for open recalls at www.safercar.gov. Wilde East Towne Honda Spring Sales Event! 2017 Toyota Camry SE Priced below KBB Fair Purchase Price! Clean CARFAX. Bluetooth, Backup Camera, Power Driver's Seat, Power Windows & Locks, Amazing Gas Mileage, Alloy Wheels, USB port, Cruise Control, Black w/Sport Fabric SofTex-Trimmed Front Seat Trim. CARFAX One-Owner. 24/33 City/Highway MPG Awards: * 2017 KBB.com 10 Most Comfortable Cars Under $30,000 * 2017 KBB.com 10 Best Sedans Under $25,000 * 2017 KBB.com Best Resale Value Awards * 2017 KBB.com 10 Most Awarded Brands Stop out to Wilde East Towne Honda to experience a higher level of customer service. Exceptional care that has helped us earn Honda&#39;s highest level of achievement, the Honda President’s Award. We have won this honor each year since opening. Our customer&#39;s survey and reviews helped us be recognized as the Wisconsin DealerRater.com Dealer of the Year. Also achieved consistently since 2014! Our family friendly staff look forward to serving all your automotive needs. You&#39;ll appreciate the fair prices and great service. Your family will love free popcorn at the Power Bar and finding the Star Fish in the huge aquarium. Located on Madison’s East Side, we are just 2 miles South of Sun Prairie off Hwy 151/90/94. Some vehicles may be subject to manufacturer safety recalls that, for various reasons, may not be repaired prior to sale. You may also check for open recalls at www.safercar.gov.